Its been almost more than 2 and half months I have not gone out,thought to give myself a change to my athma! Plan was to spend 2 days 1 night in yelagiri, inspite of knowing its not the right time but its time to travel. Finally plan of yelagiri accomplished. Started bangalore at 6AM and reached yelagiri at 10.25AM. Inclusive of breakfast and a break as well. 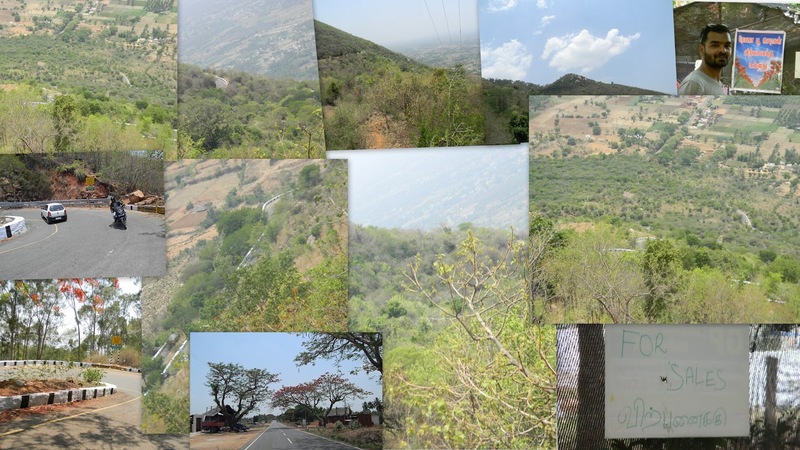 It was 50:50 expectations of yelagiri since it was not right time to visit because of summer. But if it was rainy season also i don't think there is something to spend for 2 days. Its just one day program not more than that!!. 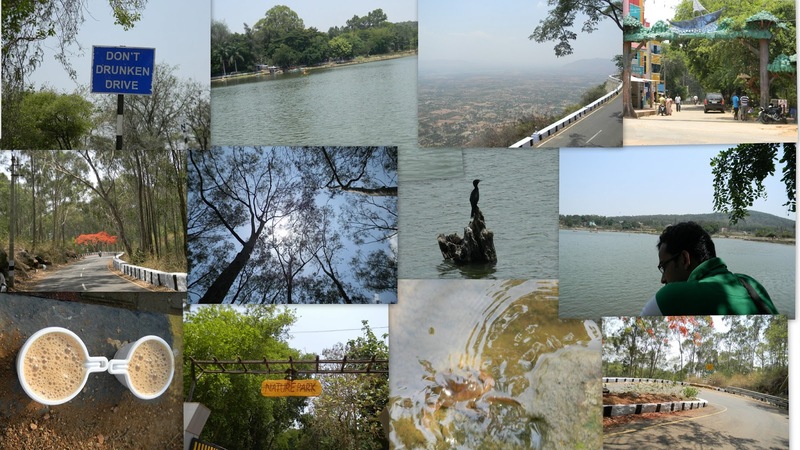 Places to visit at Yelagiri Malai: Punganoor Lake, Murugan Temple, Swamimalai, Paragliding Point. Paragliding will be open 4-5 days in a year in the month of august, Please confirm before planning. We spent only 1-30 hrs in yelagiri, returned as we were open to come back as well. "Sometimes we should consider journey as destination". Ghat road was good with few hairpin bends. Its not cool as bangalore. I don't know why it is oftenly known as Poor Mans ooty! Only good of yelagiri is variety of fresh fruits and vegetables. Yes there are lodges to stay but I don't think there is a need of that.